You are currently browsing the tag archive for the ‘boda boda’ tag. The worlds of boda-boda drivers in Uganda fascinate me. At first glance, the boda system looks haphazard and hectic. At most intersections in towns throughout the country, you find a group of young men on motorcycles competing to take you where you want to go. For most of the day, they hang out…play cards, debate each other, sleep, and (all too often) take alcohol. When they get a customer they normally try to overcharge a bit and then often driver recklessly in order to make the trip as quick as possible to allow time for more customers. As a result, Uganda enjoys some of the highest “road carnage” rates in Africa. A few doctor friends of ours that work in the ER of Mulago (Uganda’s national referral hospital) told us that at least 75% of the emergency trauma cases they see are a result of boda-boda accidents. During our time in Munaku we have struck up friendships with several of the boda guys who stay at our corner. Admittedly, our original intentions had self in mind…if we develop relationships with these guys then maybe they will drive a bit safer, give us a better price, and watch out for us in the neighborhood. But over the last nine months our friendships have grown deeper and a bit more genuine, allowing us a window into a world that is much more complex than what meets the eye. For starters, boda “stages” are by no means the seemingly random gatherings of motorcycles that they appear to be. Each “stage” is a highly organized social group in which there is a democratically elected chairperson, clear hierarchies based mostly on seniority, and formal rules for participation. And, underneath the stereotypes of boda drivers as rough young men who couldn’t find any better work are individual stories of resilience, resourcefulness, and decency. Take Ssemakula, for example. 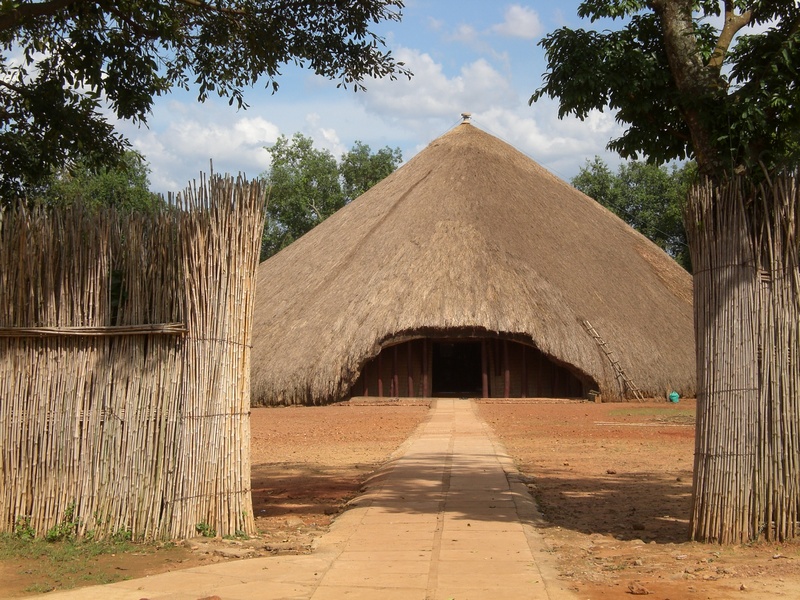 Ssamakula grew up in Awe, Gulu District (about an hour from Gulu town). His father is an Acholi and his mother is a Muganda (thus the reason he has a Baganda name). 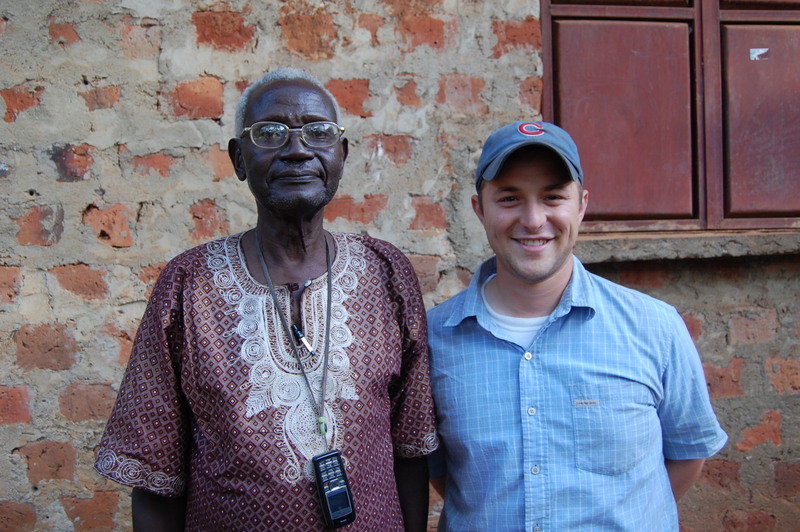 As a young man Ssemakula came to Kampala to find his own way. Last week Ssemakula invited Lauren and I to his home for lunch. He has a small two-room house not too far from Munaku for his wife and six kids. As we ate a traditional meal of matoke and fish, Ssemakula showed us a family photo album. The pictures narrated the life of a working man – a proud father who shows up on time, makes ends meet, and is continually trying to push his family forward. The pictures showed his kids in school uniforms, his late father at a desk, his first boda, his beautiful wife. The pictures made me think that Ssemakula would have alot to talk about with the family men I know back home who, although they show up to an office every morning very different than his, show up to it for the same reasons and with the same hopes. We were traveling between the western Ugandan towns of Kasese and Fort Portal, flying down the road in our shared taxi car, when we noticed it. What I first saw was a pile of green clothing, which matched the uniforms worn by the students walking along the road. The heap of clothing was laying in the middle of the road, and my first thought was That can’t be a kid… no one would leave a child lying in the middle of the street. Jon said the first thing he noticed was a huge group of kids running towards the pile of clothing. As our car neared the spot, it became apparent that it was a child in the street – a boy about 6 or 7 years old. We stopped the car just as a woman ran into the street and picked him up. He was completely limp in her arms, and bleeding profusely. She brought him to the side of the road, and when she laid him down, he started to cry out for his mother. I breathed a huge sigh of relief – I had been almost certain that he was dead. Our driver, Billy, asked the woman what had happened, and she said that he’d been hit by a boda boda. The boda driver had fled on his bike into the bush…a hit and run. Jon and I asked the driver if we should take the boy to the hospital in Fort Portal, about 20 km away. Billy said that there was a clinic much closer, in the town we’d just passed. He asked if we minded the detour, and of course we said we didn’t. Billy sprung into action, turning the car around and popping the trunk of his station wagon so that the woman and the boy could sit inside. The woman sat with the boy on her lap, swabbing the blood off his head and face and trying to calm him as he wailed for his mom. When I asked the driver if she knew the boy, he said no, that she had just been passing by, a Good Samaritan. We rushed back to the town with the clinic, which happened to be right next to the school the boy had come from. Billy and the Good Samaritan woman brought the boy out of the car to the clinic, which was filled with people waiting in line to be seen. I could understand parts of what they were saying in their local language – “Emergency”, “He was hit by a motorcycle,” “someone find his teacher -we need to call his Mom”. Clearly, the whole community assembled at the clinic knew the boy, and they crowded around him, chattering about what to do. Finally, a nun (and evidently a nurse) came to the scene, picked up the boy, and brought him inside. We left her with a small donation for the clinic, in hopes that it would help pay for the boy’s treatment. We’d done what we could do, and Billy got back into the car to resume the drive to Fort Portal. they’re going to give us trouble. The police here, like many other places, are infamous for being corrupt and not often protecting those whom they are supposed to protect. I was suspicious. Instead, the officer wanted to know what we knew about the accident, if we’d seen the boda boda driver, and if we knew anything about how the boy was doing. The officer had heard that he was dead, and he was very concerned. We told him our story, and he told us the police would be searching the area around where the boda driver fled, to try and find him. I was grateful, and surprised, by the competence and helpfulness of the police in this situation. On the rest of the drive, I reflected on all of the goodness we’d seen after such a terrible accident. The Good Samaritan woman who took care of the child like he was her own. Our driver, Billy, who was so quick to help. And the police officer who was ready to do his job to help. In a place like Uganda, where just getting by is a struggle for most, it was so redeeming to see people take care of a stranger, even at their own expense. On the surface, daily life in Uganda is quite civil. I saw more theft and scams in South Africa, and more frowning faces in Chicago. In fact, one time when I dropped my wallet in Gulu someone picked it up, took it to a radio station, and paid to have my name announced so that I would come and claim it. But, underneath this is a legacy of violence that runs very deep. 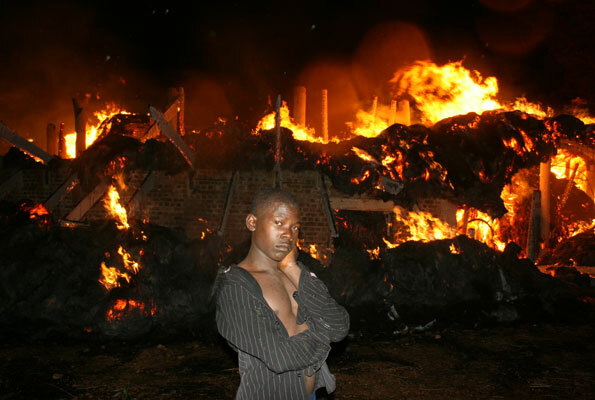 Almost everyone in Uganda has been touched by war and violence, whether it was Idi Amin’s reign of terror, Yoweri Museveni’s bush war in the Luweero Triangle, or atrocities committed by the LRA or one of the other two dozen or so rebel groups that have surfaced over the last 20 years. I was reminded of this fact yesterday while riding the boda boda of Ssemakula, my favorite boda driver who is also the chairman of the boda stage in Munaku where we live. (So, “boda stages” are gatherings of boda bodas—motorcycle taxis—that park in various places waiting for customers. Each stage has a “chairman”, someone elected by the boda drivers that park at that stage who sort of manages things). Ssemakula’s mom is from Buganda and his dad was from Acholi. So, Ssemakula speaks both Luganda and Acholi…this gives me someone to practice Acholi with on a daily basis. While riding yesterday, Ssemakula told me about the time his dad was killed by the UPDF (current Ugandan military) in a village called Awer in Gulu District. The father had worked in government during the regime of Milton Obote, and the UPDF soldiers accused him of “supporting rebels”. So, they killed him. As we rode through town past bodas, shopkeepers, and lots of other average folks going about their day, I kept wondering who else had a story like Ssemakula’s. Quite a few, I imagine.